j5create - - 2-Port USB 3.0 Hub with HDMI and Gigabit Etherne Connect this J5 Create USB-C multi-adapter for added versatility on your desk. It adds a UBS 3.0 port HDMI connection and Gigabit Ethernet connection to your device. Cisco - WS-U5534-GESX CISCO - (WS-U5534-GESX) CATALYST 5000 SUPERVISOR-3 GIGABIT ETHERNET 2PORT. REFURBISHED. IN STOCK. SHIP SAME DAY. Hewlett Packard - NC523SFP NC523SFP HP 10GB 2Port Server Adapter Network Adapter PCI Express 2.0X8 10 Gigabit Ethernet 2Ports. New Bulk Pack. Intel - PWLA8492MT PWLA8492MT Intel PRO 1000 MT Dual Port Server Adapter PCI-X - EN Fast EN GIGABIT EN - 10Base-T 100Base-TX 1000Base-T - 2 ports Network Interface Card. New Bulk Pack. 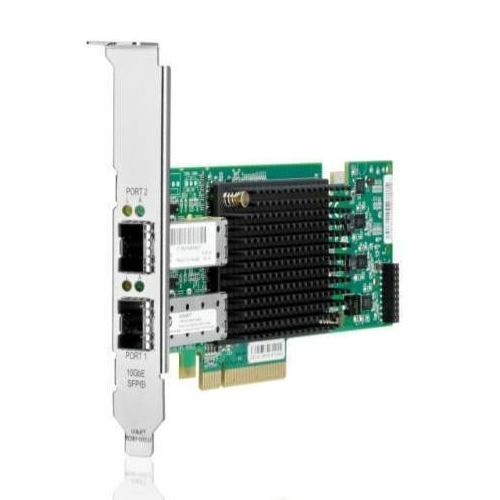 Hewlett Packard - A7012-60001 A7012-60001 HP PCI-X 2Port 1000Base-T Gigabit Network Interface Adapter. New Bulk Pack. Hewlett Packard - A7012A A7012A HP Network Adapter PCI-X EN Fast Ethernet Gigabit EN 10Base-T 100Base TX 1000Base-T 2 Ports NIC Card. New Bulk Pack .